Julio Cesar Chavez Jr. and Nonito Donaire, two of boxing's brightest young stars, will fight in separate bouts on HBO's "World Championship Boxing" on Feb. 4 at the Alamodome in San Antonio, promoter Top Rank announced Wednesday. Chavez will face Mexican countryman Marco Antonio Rubio in a scheduled 12-round middleweight bout, although it is unclear if Chavez will be defending the WBC version of the title. Donaire, one of the top pound-for-pound fighters in the world, vacated his two bantamweight belts and is moving up in weight to face former junior featherweight titlist Wilfredo Vazquez Jr. for the now-vacant 122-pound belt Vazquez used to hold. A news conference to announce the card is scheduled for Tuesday in San Antonio. Chavez claimed a middleweight belt in June via majority decision against Sebastian Zbik and made his first defense on Nov. 19, a fifth-round TKO of Peter Manfredo Jr.
"The new year promises to be even bigger for Julio, but first he is in a difficult challenge against No. 1-ranked challenger Marco Antonio Rubio," Top Rank promoter Bob Arum said. "This should be a real battle." Whether Chavez's belt will be at stake is unclear because the WBC earlier this month ordered him to defend against lineal champion Sergio Martinez, who very badly wants to fight Chavez. The WBC's order left open the possibility of the mandatory fight being put off if the Chavez and Martinez camps can come to an alternative agreement. Arum, however, has no interest in making a fight in which Chavez would be a massive underdog. Martinez is pressing the WBC to strip Chavez, so the status of the belt is up in the air. "We know Chavez is fighting Rubio on Feb. 4 in San Antonio, but some things need to be cleaned up," Top Rank vice president Carl Moretti said. "There needs to be more clarity with regard to the WBC situation. 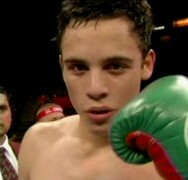 But it's been known for a while that Chavez is fighting on Feb. 4 and that Sergio Martinez is going to fight in March. "For anyone to think or say that it is possible for them to fight each other on that (March) date, that is just a pipe dream. The grandstanding about the title by everybody is just that." Chavez (44-0-1, 31 KOs) has a significant Mexican fan base in San Antonio and will be fighting at the Alamodome for the third time. In 2007, he fought on a Manny Pacquiao undercard there, and in June 2010 he headlined a Top Rank pay-per-view card and scored a breakout victory against John Duddy. Rubio (53-5-1, 47 KOs) has won 10 fights in a row. He has not lost since being stopped in the ninth round by then-middleweight champion Kelly Pavlik in February 2009. Donaire (27-1, 18 KOs), known as the "Filipino Flash," is a former flyweight and interim junior bantamweight titlist. He broke out this year with a crushing second-round knockout of three-division titlist Fernando Montiel in February to win a pair of bantamweight belts. Donaire made one defense, a shutout decision against junior bantamweight titlist Omar Narvaez at New York's Madison Square Garden Theater on Oct. 22, before deciding to move up in weight. Puerto Rico's Vazquez (21-1-1, 18 KOs), the son of former three-division titleholder Wilfredo Vazquez Sr., lost his junior featherweight title to Jorge Arce on a 12th-round knockout in May on the Pacquiao-Shane Mosley undercard. Arce vacated and moved down to bantamweight last month, leaving Vazquez and Donaire to vie for the title.